We are into the business of exporting and supplying Frozen Pork Shoulder that is widely used for consumption purpose. 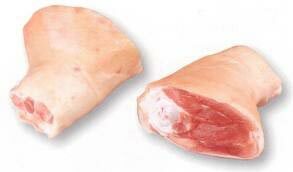 Frozen Pork Shoulder that we offer is prepared using the fresh meat obtained from disease free pork. The shoulder of the pork is nicely cut and cleaned in hygienic environment before performing the freezing process. Furthermore, we make available Frozen Pork Shoulder in food-grade packing for longer shelf life and zero contamination.